This must be a record for me: reading three books in the same series within less than a year. For several years I’ve been following Diana Gabaldon’s Outlander series but I don’t often get through even two of the books in a year. I dip in and out of them when I’m in the mood. This year I received copies of the Graham Saga novels as they were released in exchange for honest reviews. I started reading and just kept going. 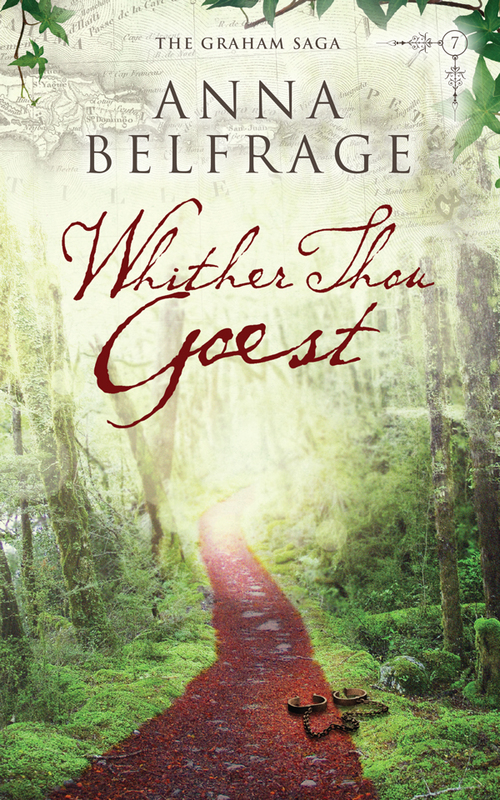 Whither Thou Goest by Anna Belfrage, who is on a Historical Fiction Virtual Blog Tour with the book, is number 7 in an eight book timeslip historical fiction series set in the seventeenth century. I reviewed Book 5, Serpents in the Garden, in April and Book 6, Revenge and Retribution, in September. I enjoyed books 5 and 6 so I had no qualms about reviewing the next book too. This is how the publisher, SilverWood Books describes the novel: “Whither Thou Goest is the seventh book in Anna Belfrage’s series featuring time traveller Alexandra Lind and her seventeenth century husband, Matthew Graham. I’m sure to repeat myself in this review as everything I’ve said about previous books in the series holds true about this one. It is a well written, engaging story that allowed me to escape into an earlier century and live in that world for a while. I wouldn’t want to find myself trapped in the seventeenth century as one of the main characters, Alex, has done but I loved slipping into it to follow the Grahams’ story. Once again the plot moves along at an enervating pace, blending the events in each character’s life to paint the overall picture. In this book the task Matthew and Alex undertake is the focus of the story but events affecting other members of the Graham clan are not ignored either. There’s more than enough happening to keep the reader’s attention. I enjoy the diverse settings that I find in these novels. We began this story in the familiar setting of the Grahams’ homestead and eventually arrived on an exotic Caribbean island that wasn’t paradise for some of its inhabitants. The author vividly depicts the wonders and the horrors of each place included in the story. While we encountered old and new characters throughout the story, Matthew and Alex dominated this book. After three novels, I still find them believable, engaging characters who are each a product of the era they were born into. I don’t always like everything that Matthew does but I believe a man from his era would behave as he does. I especially enjoyed watching the couple’s relationship deepen as the years pass, despite the many trials they have faced. In this novel, Alex’s brother-in-law, Simon Melville, redeemed himself in my eyes after his selfish actions in the previous book. I was also touched by the relationship between Ruth and Father Munoz. I can honestly recommend this book to anyone who enjoys historical fiction, timeslip stories or just a good tale. Each of the books in the series can be read as standalone novels but now that I’m three books into the series I know I will have to continue reading. So it’s just as well that Book 8, To Catch A Falling Star, will be released next March. 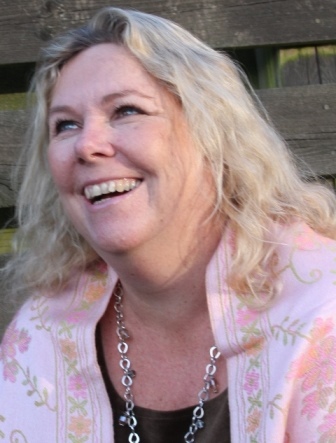 About Anna Belfrage: Anna was raised abroad, on a pungent mix of Latin American culture, English history and Swedish traditions. As a result she is multilingual and most of her reading is historical – both non-fiction and fiction. She was always going to be a writer – or a historian, preferably both. Instead she ended up with a degree in Business and Finance, with very little time to spare for her most favourite pursuit. Still, one does as one must, and in between juggling a challenging career she raised her four children on a potent combination of invented stories, historical debates and masses of good food and homemade cakes. They seem to thrive … Nowadays she spends most of her spare time at her writing desk. The children are half grown, the house is at times eerily silent and she slips away into her imaginary world, with her imaginary characters. Every now and then the one and only man in her life pops his head in to ensure she’s still there. She was always going to be a writer. Now she is – she has achieved her dream. This entry was posted in December 2014 and tagged American fiction, Anna Belfrage, historical fiction, Revenge and Retribution, Whither Thou Goest. Bookmark the permalink.